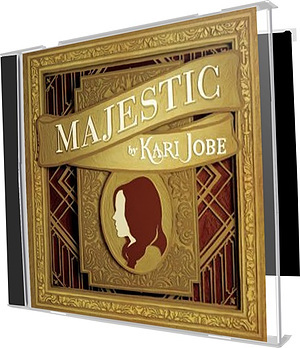 For her follow up to the breakout sophomore album, Kari Jobe brings us Majestic, produced by Jeremy Edmonson (Jesus Culture, Kim Walker-Smith, Bethel Church). Captured live in Kari's hometown of Dallas, Texas at the historic Majestic Theatre, the aptly titled Majestic, embodies the essence of what Kari does so giftedly and gracefully - leads us into worship of our Saviour. The new album features 13 brand new songs including the radio single, Forever. The Deluxe Edition content includes 4 bonus songs and the full live DVD. Kari will be taking these new songs on the road, starting in February, to support the album on the Majestic Tour with fellow worship leaders Rend Collective Experiment. Majestic CD/DVD by Kari Jobe was published by Integrity in March 2014 and is our 4158th best seller. The ISBN for Majestic CD/DVD is 0602537597949. Be the first to review Majestic CD/DVD! Got a question? No problem! Just click here to ask us about Majestic CD/DVD. A:I've looked into it, and the DVD does not have subtitles I'm afraid. Thank you for using the Q&A Forum. Now Playing: Hands to the Heavens Your browser does not support the audio element.